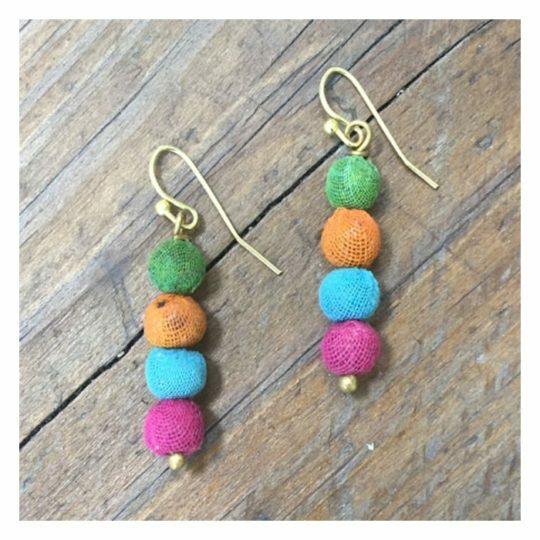 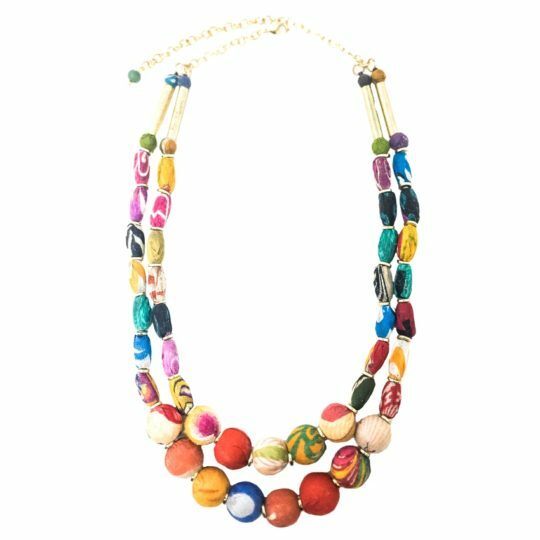 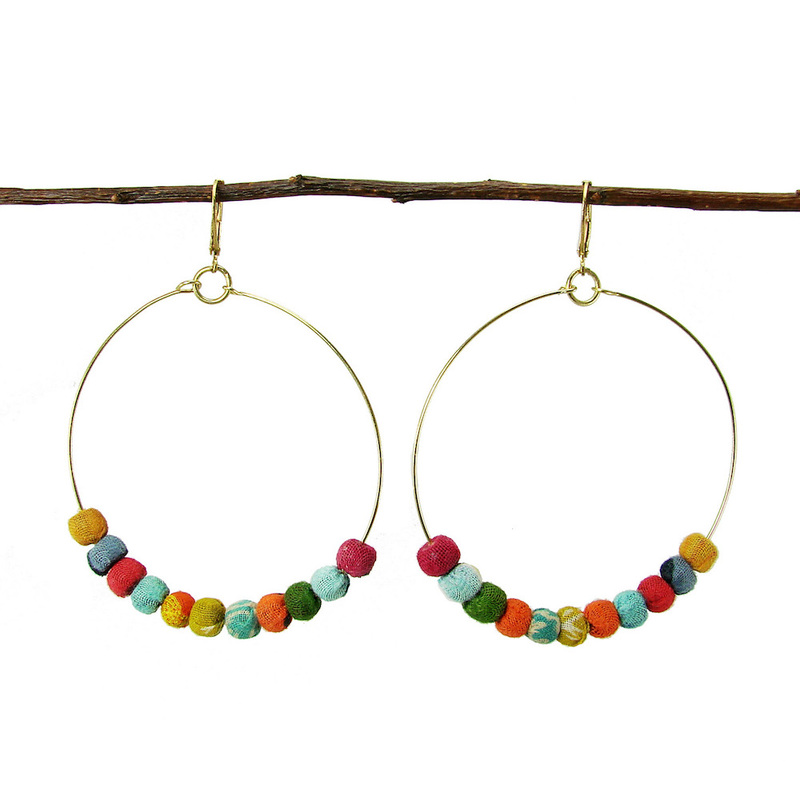 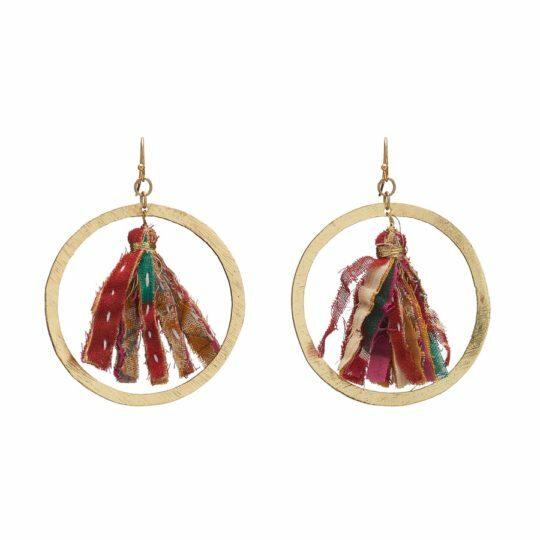 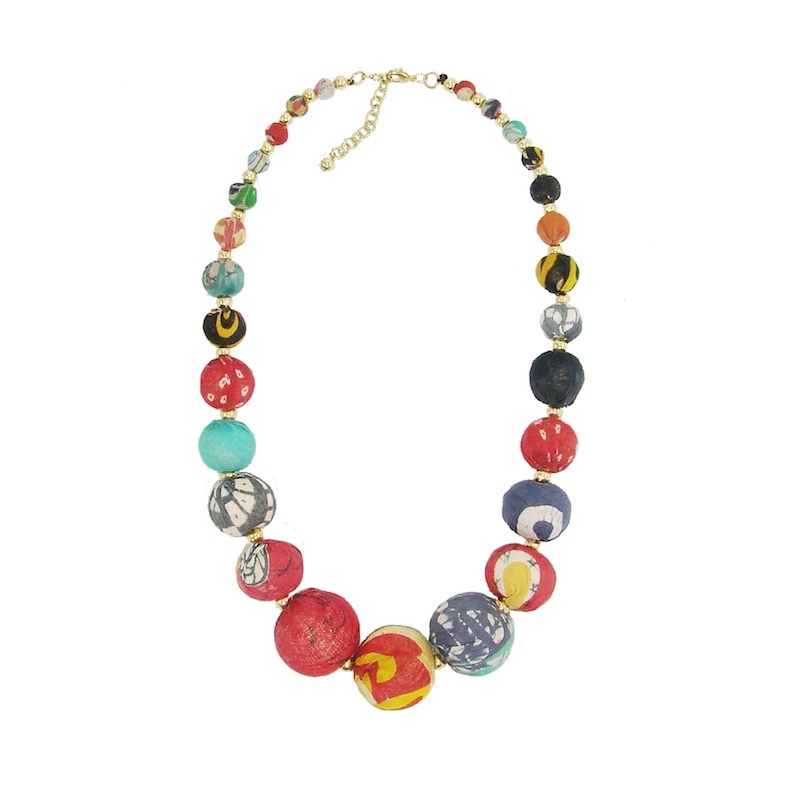 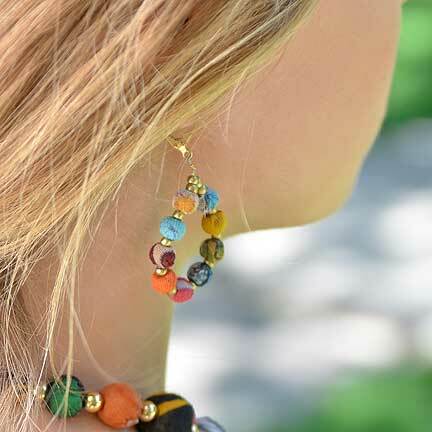 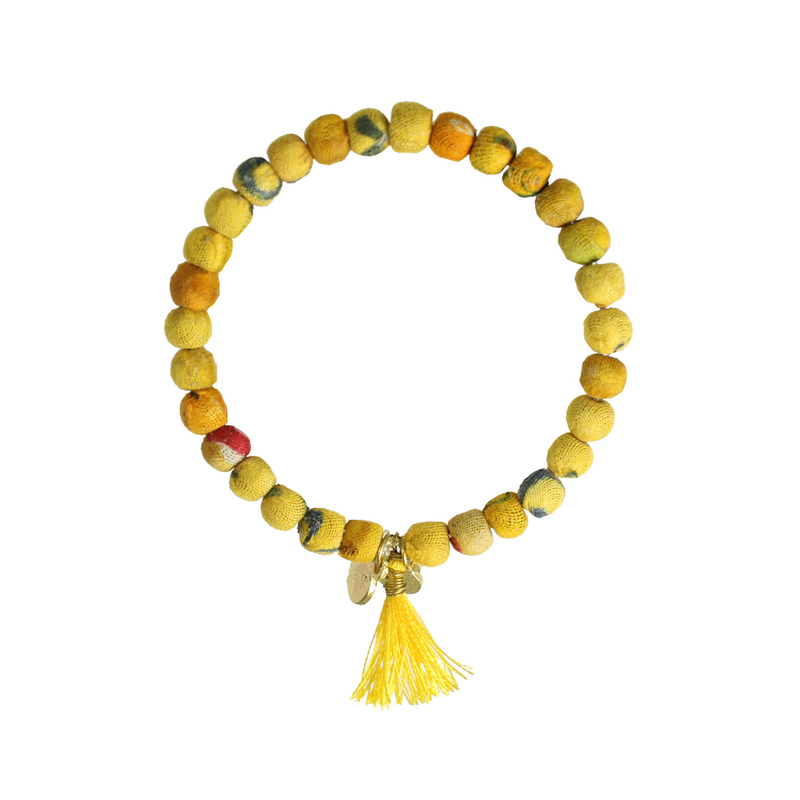 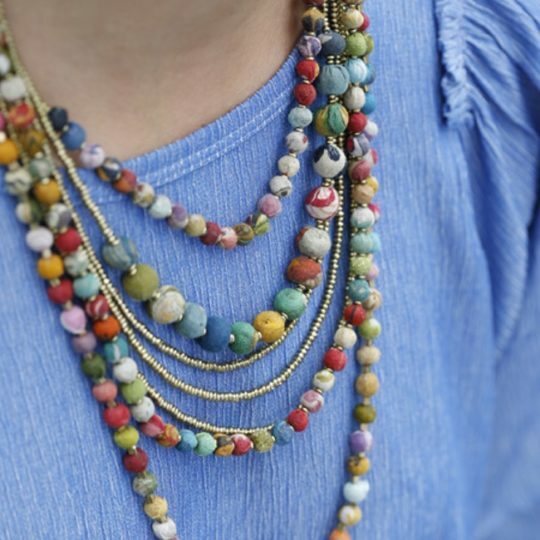 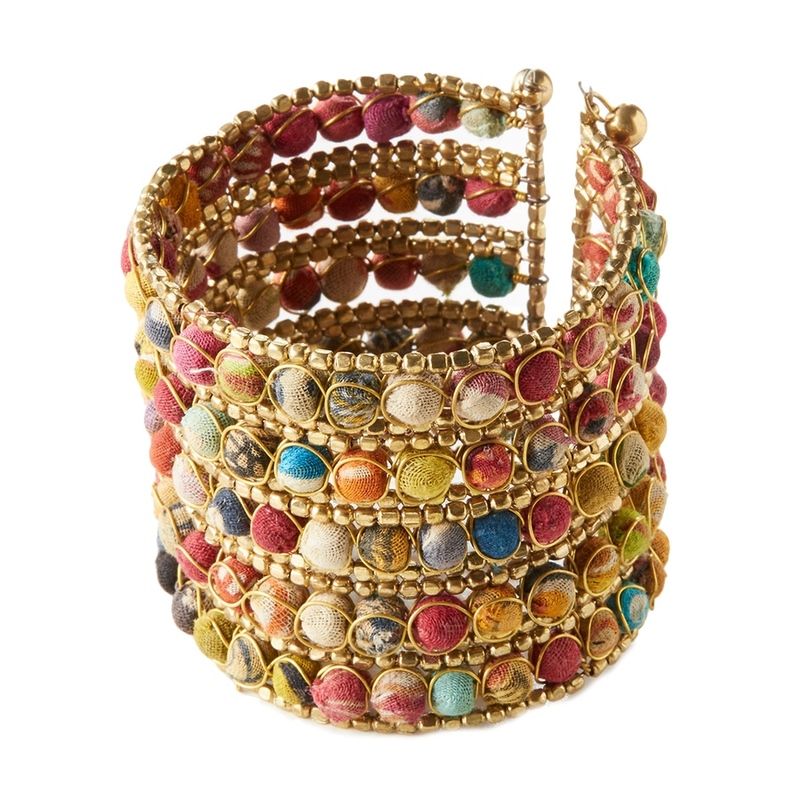 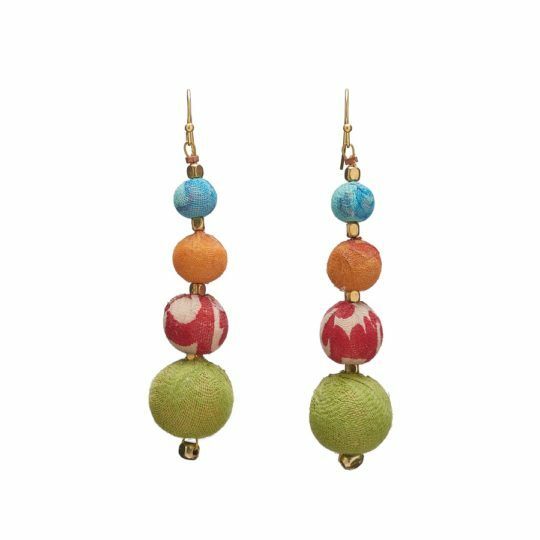 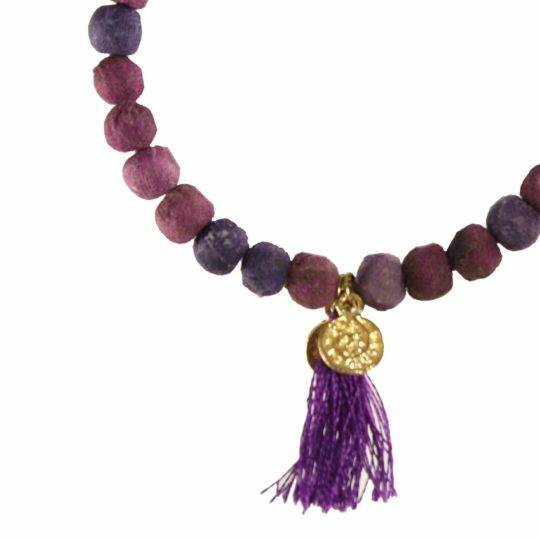 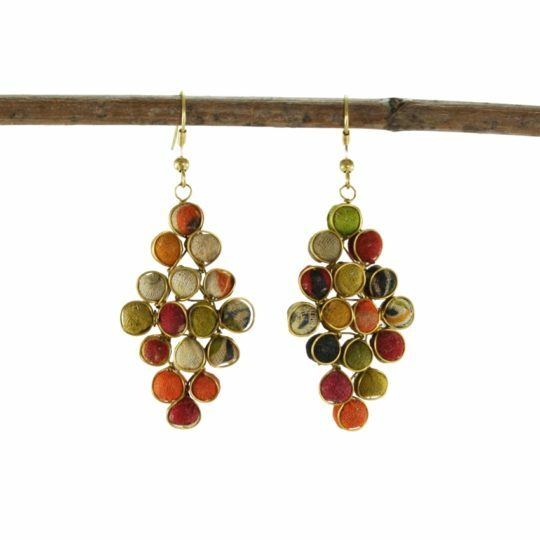 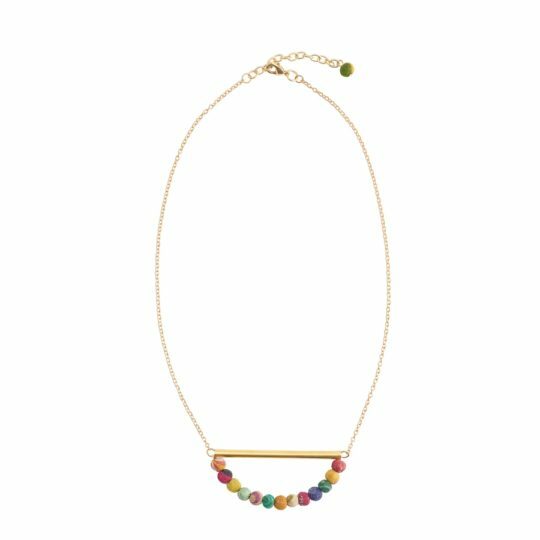 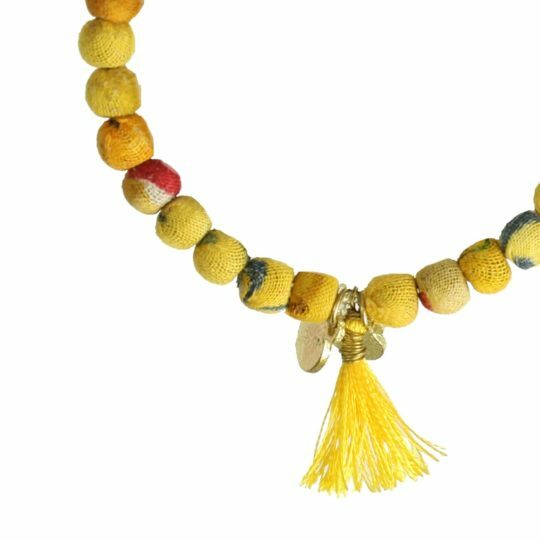 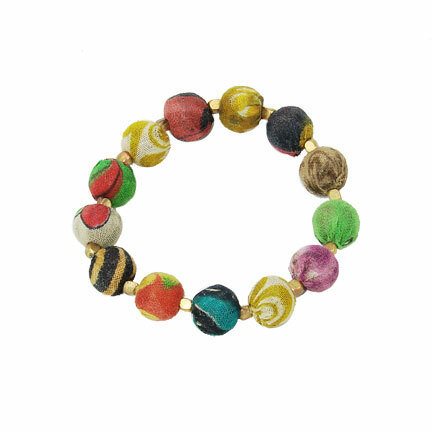 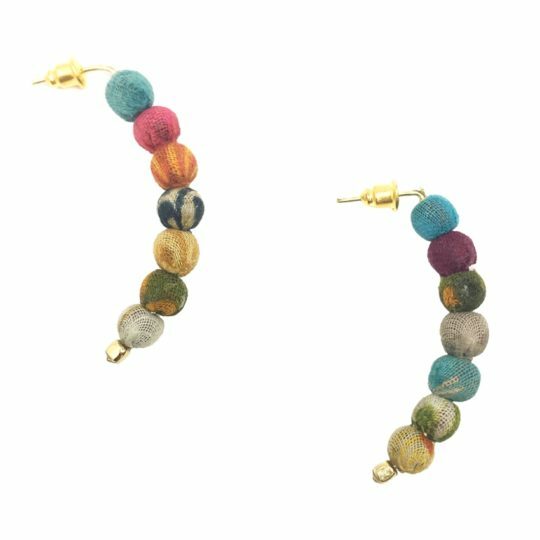 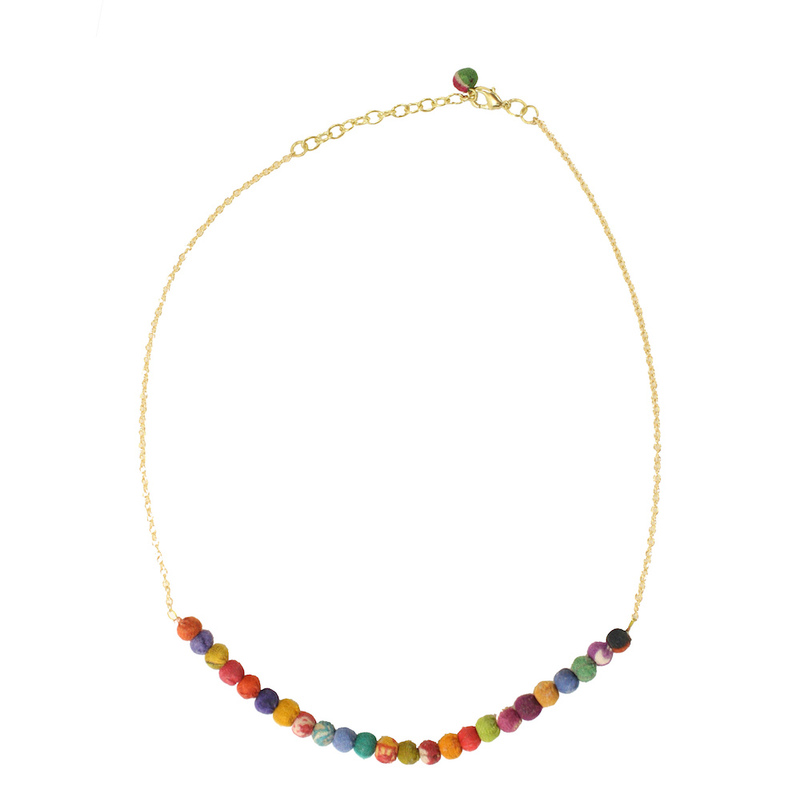 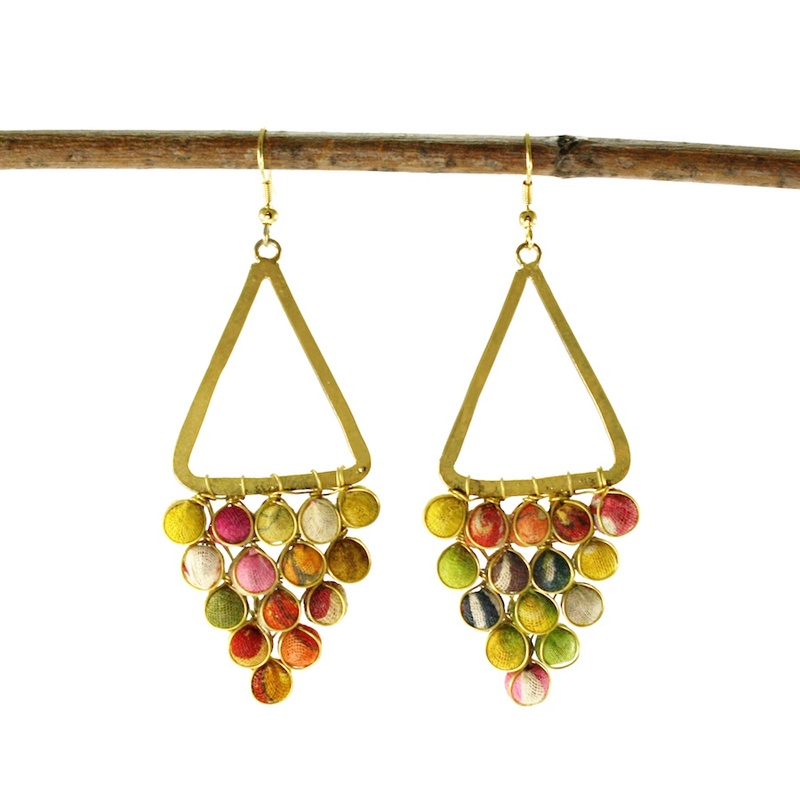 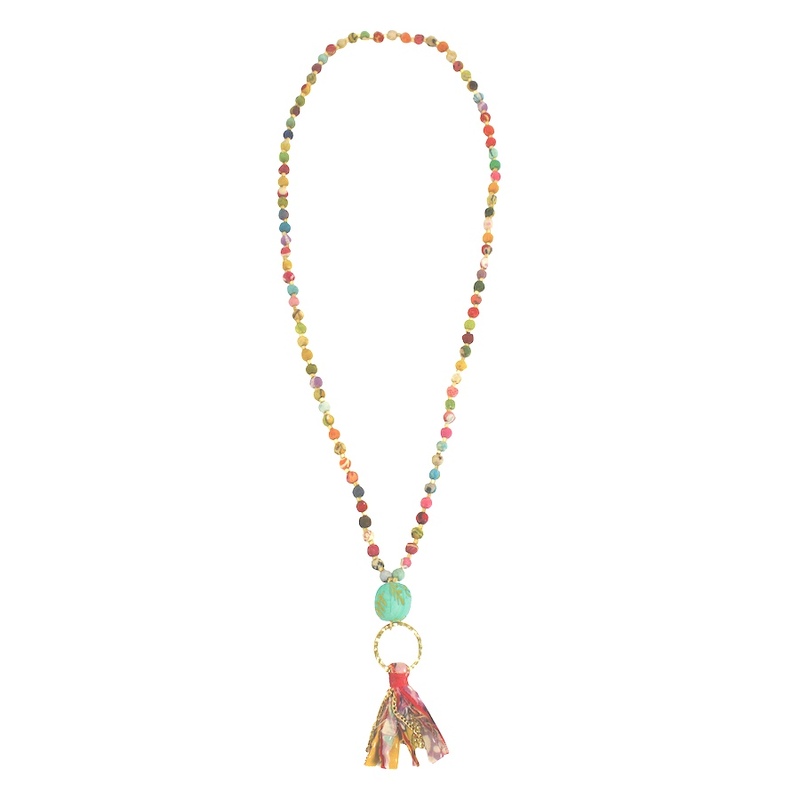 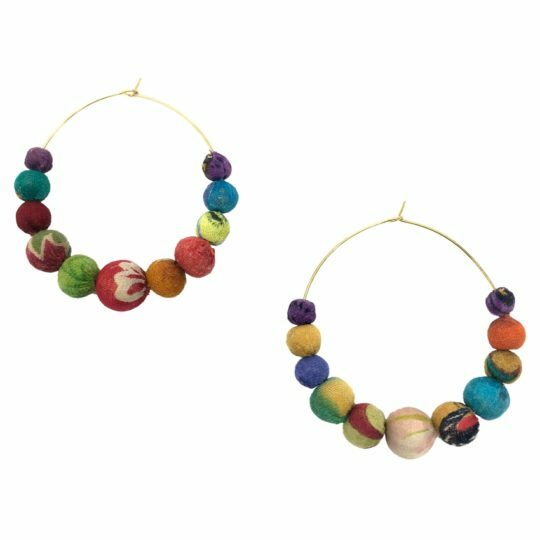 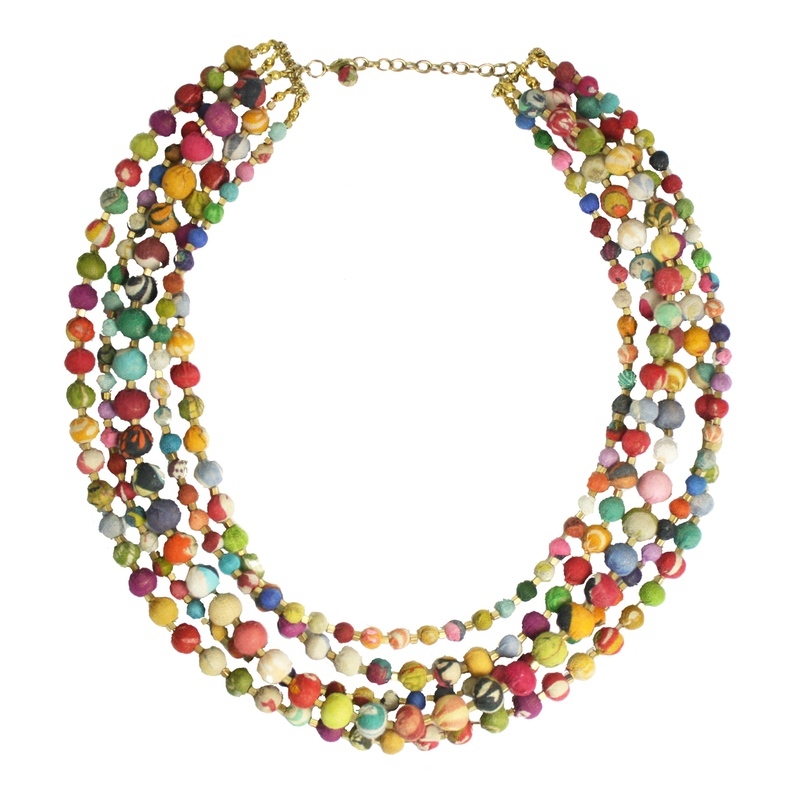 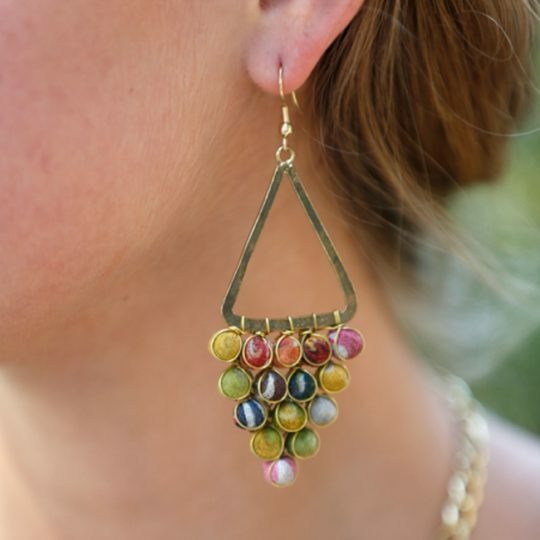 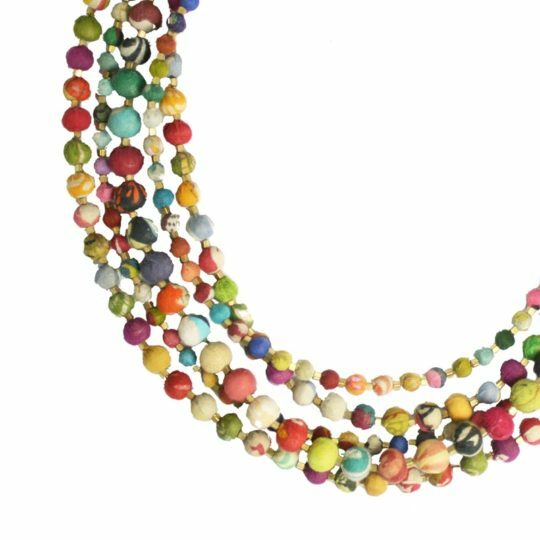 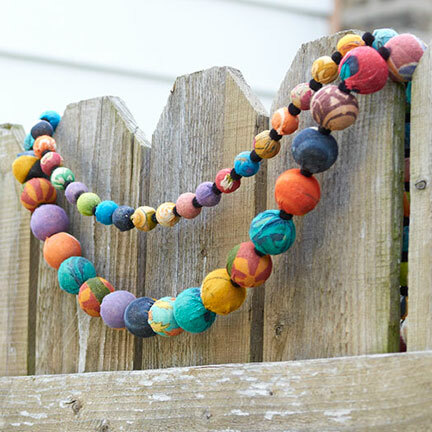 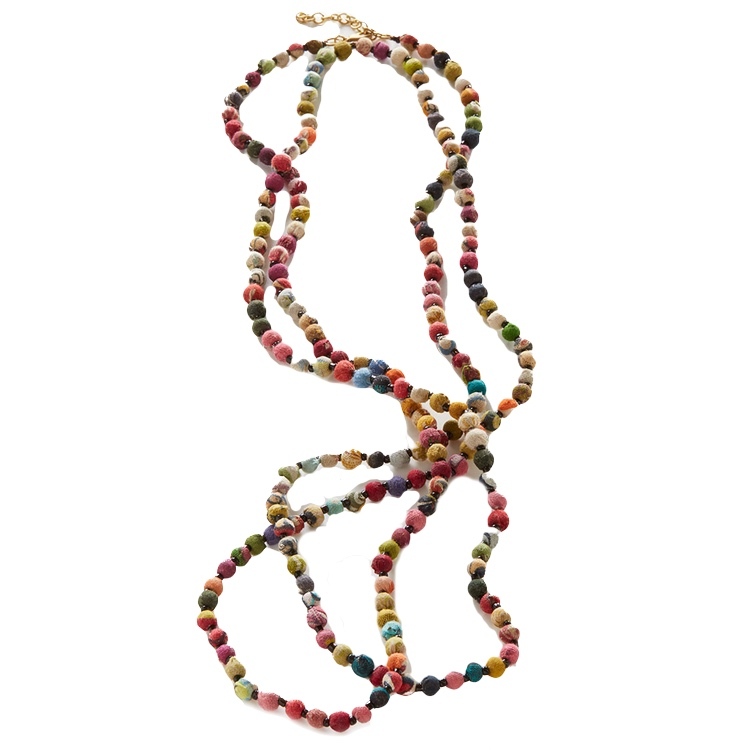 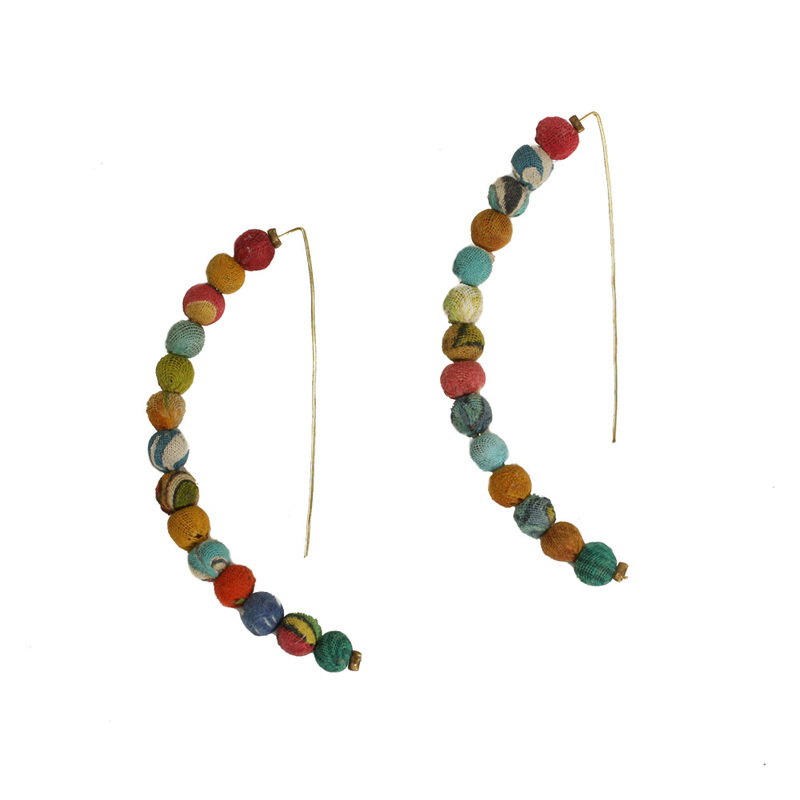 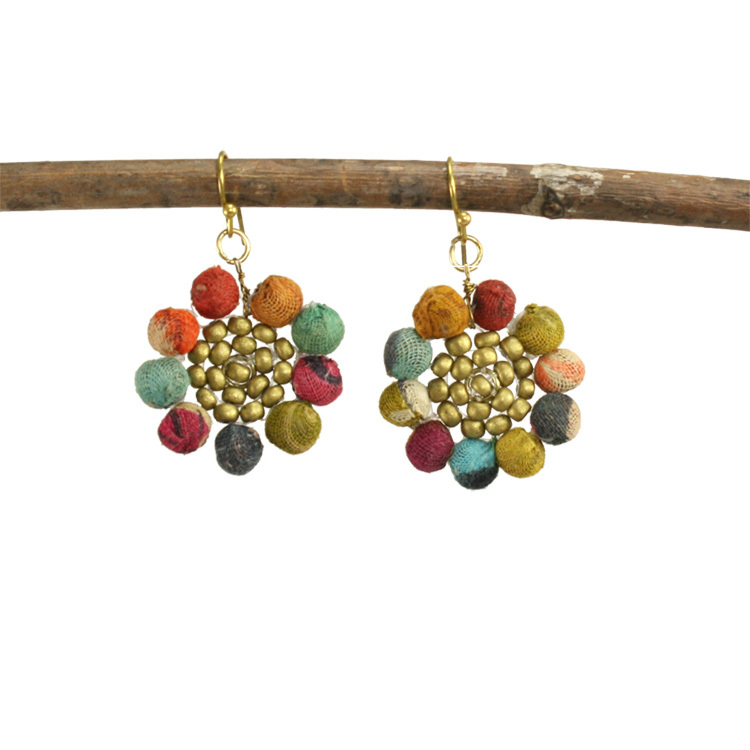 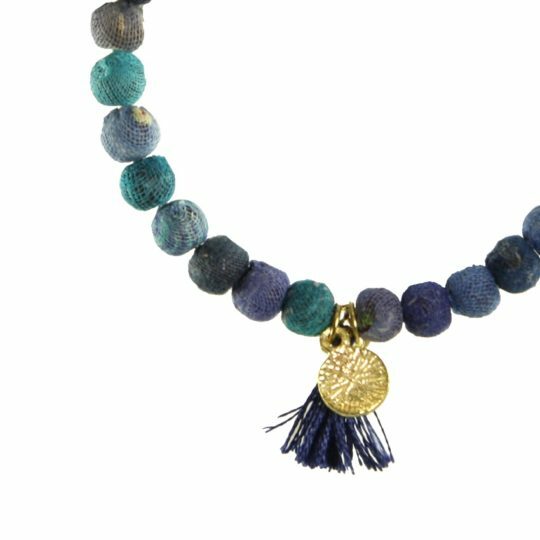 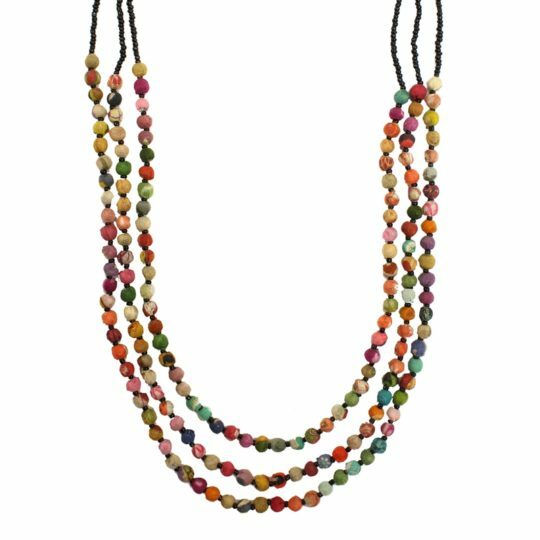 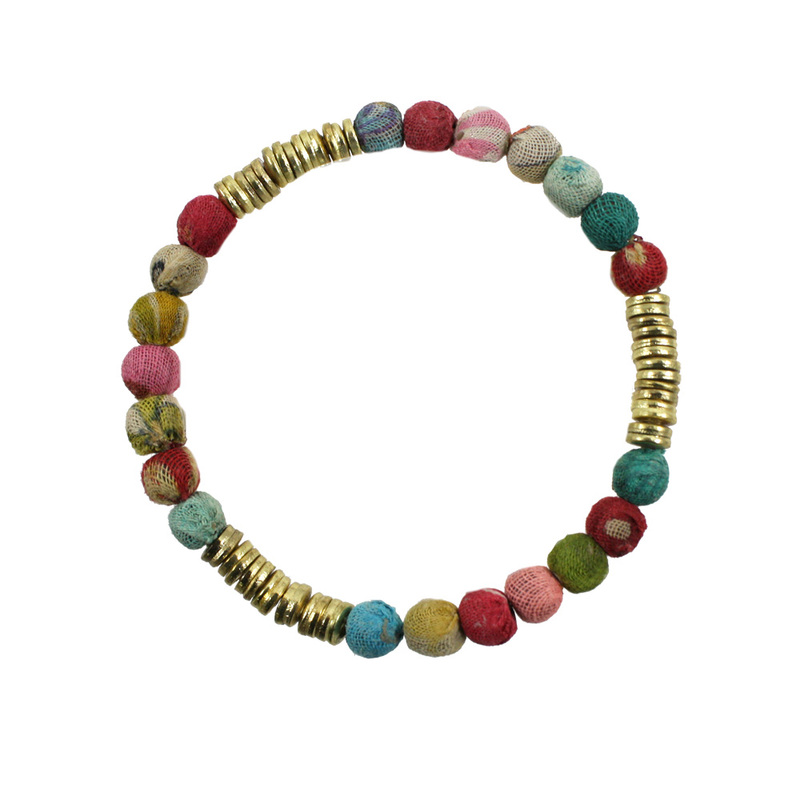 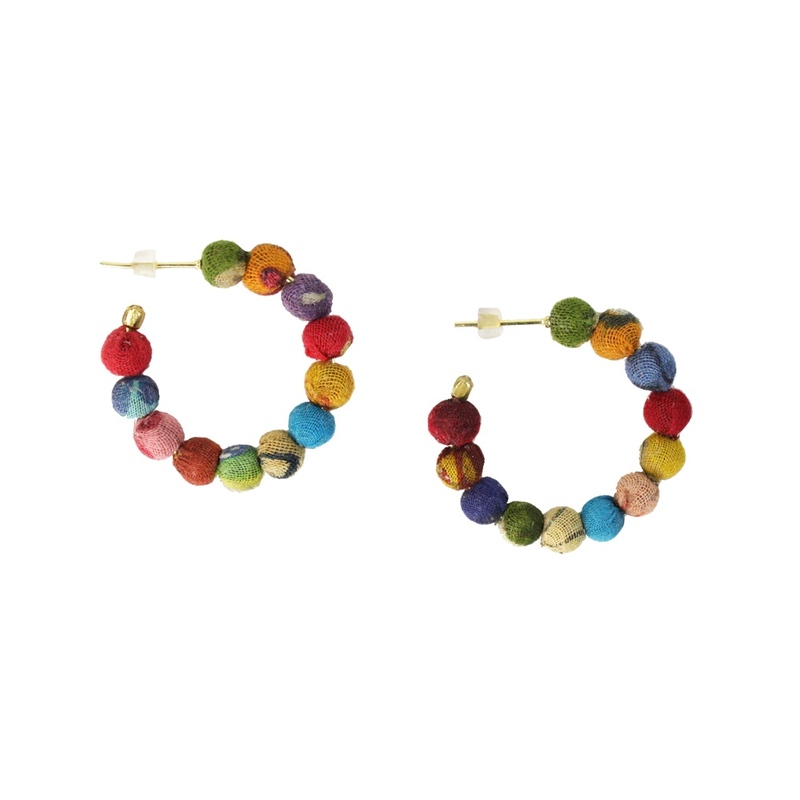 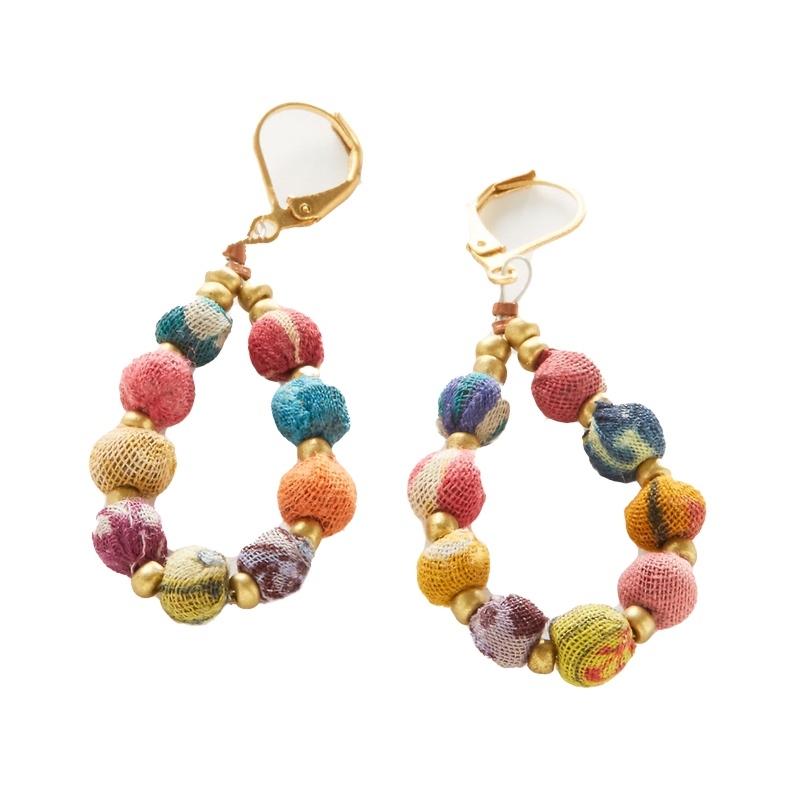 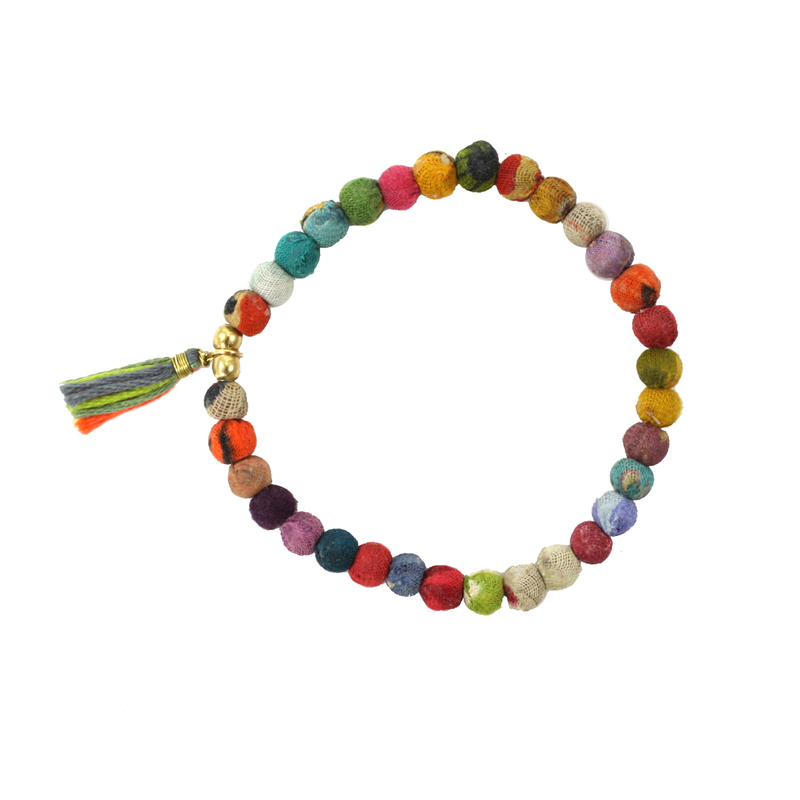 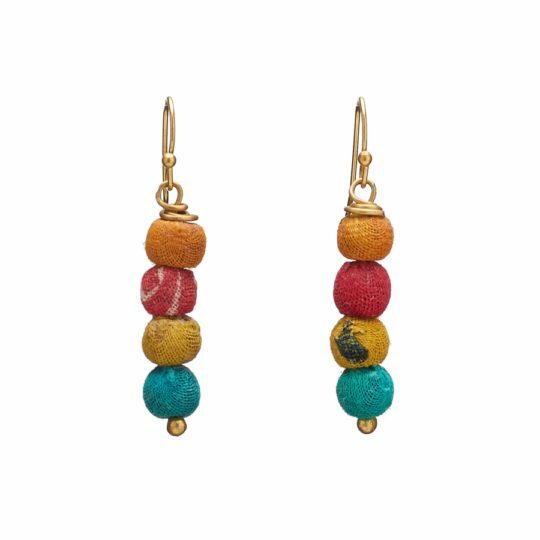 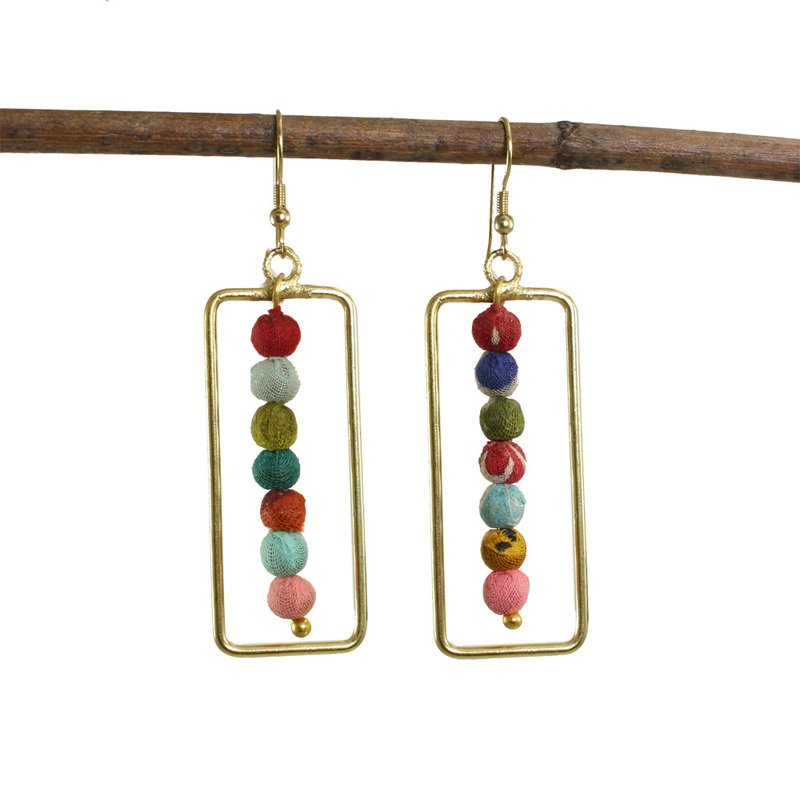 An artful arrangement of colorful Kantha textile beads are framed by a draping gold chain, with nickel and lead-free French ear wires. 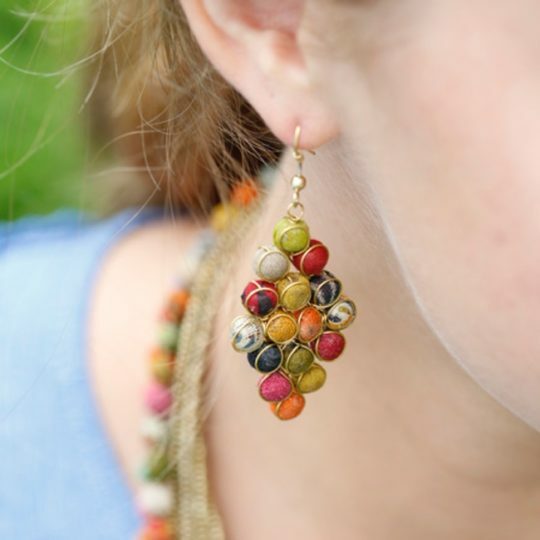 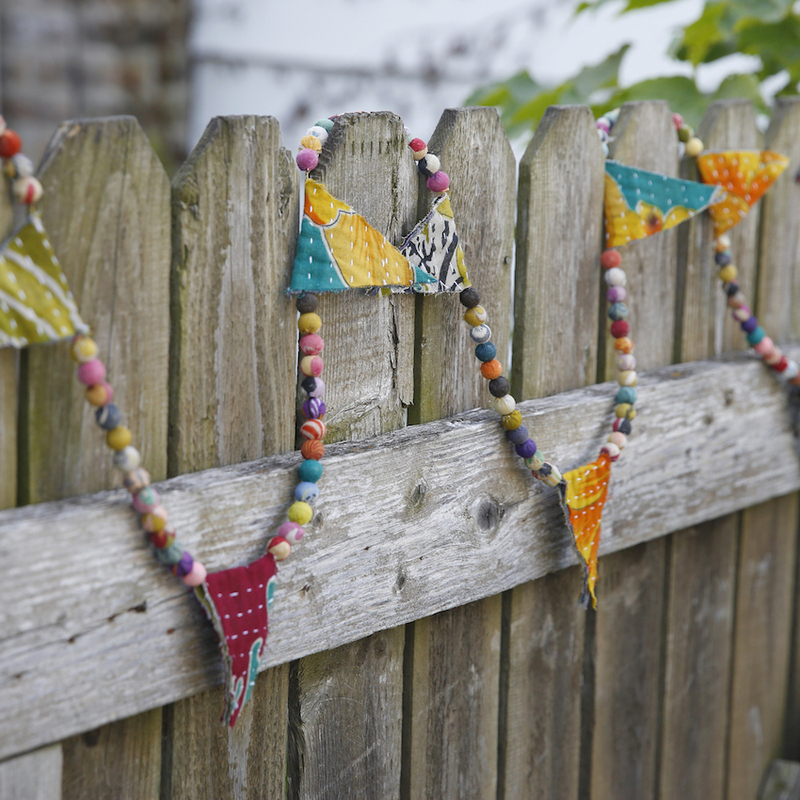 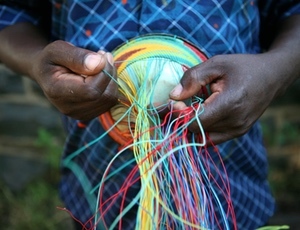 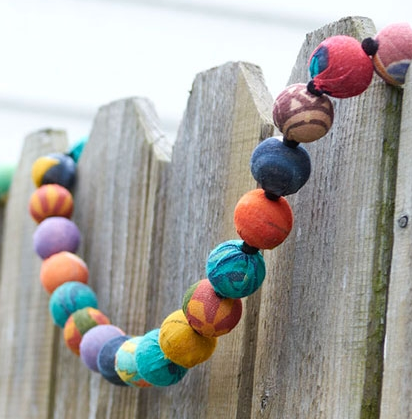 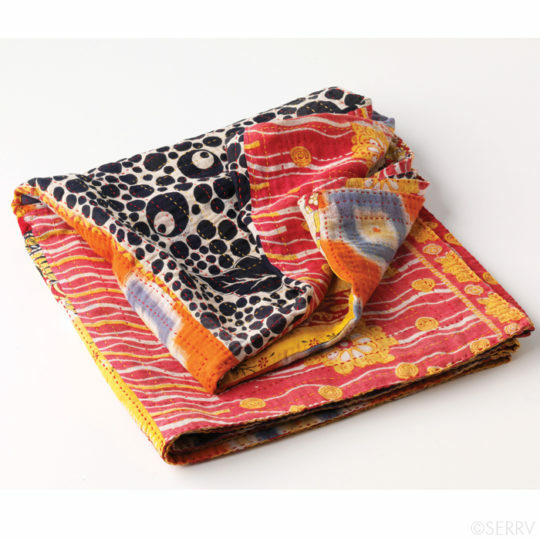 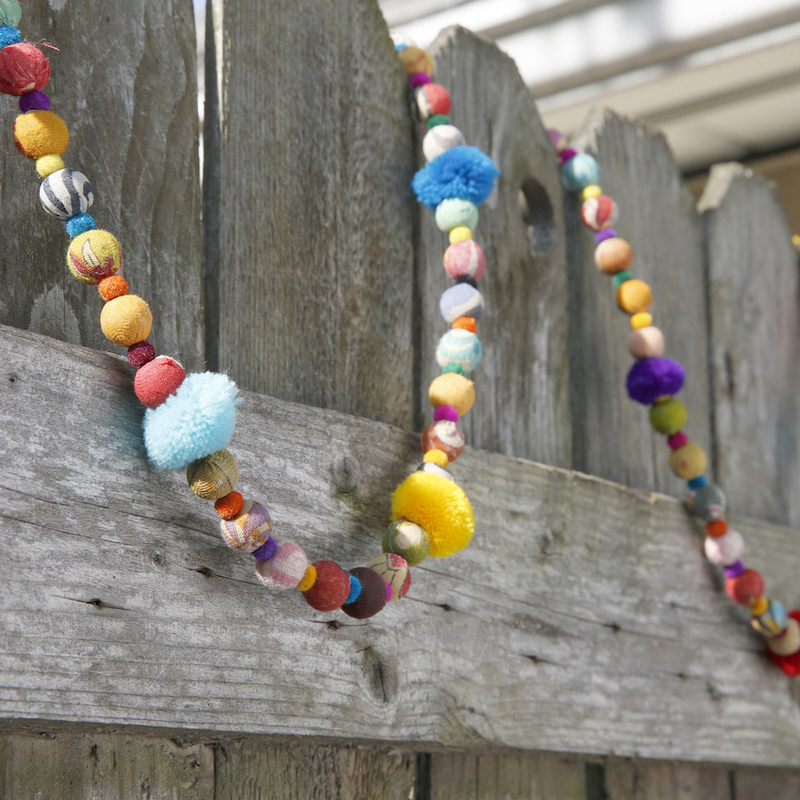 Colors and patterns will vary due to the repurposed fabric beads. 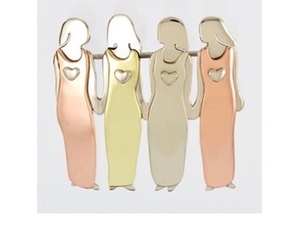 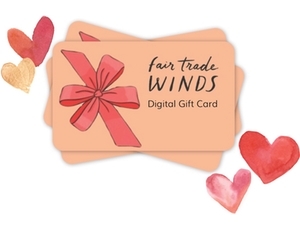 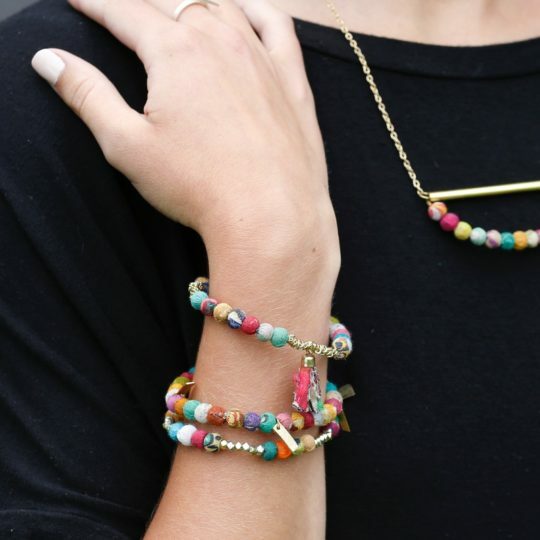 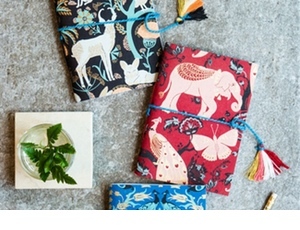 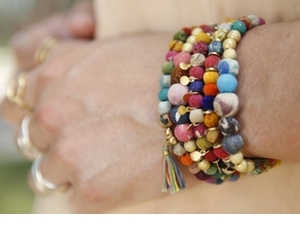 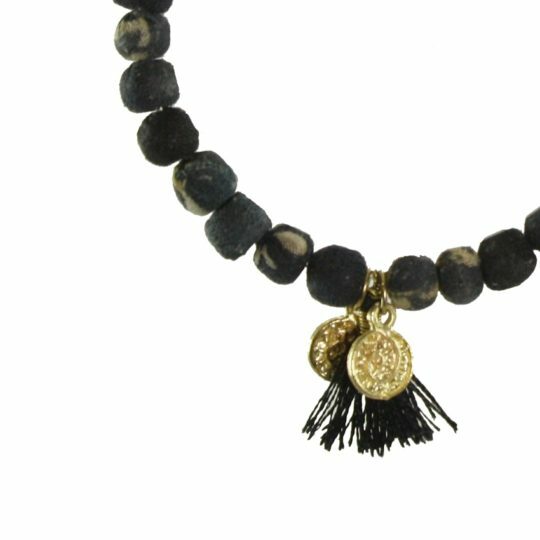 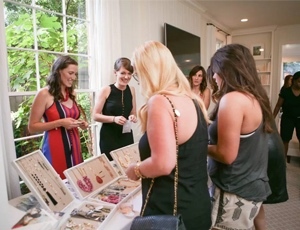 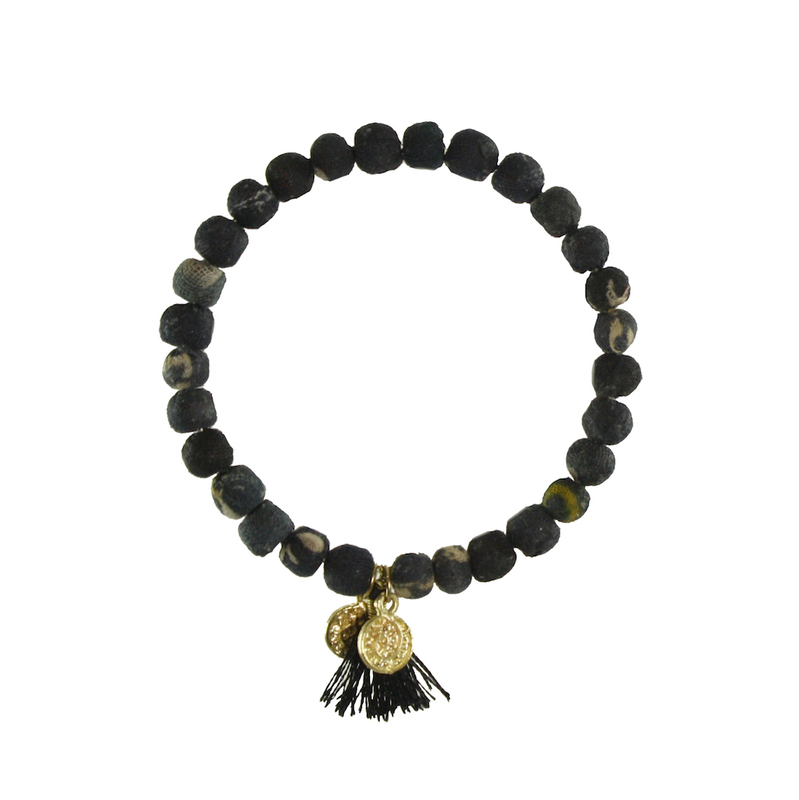 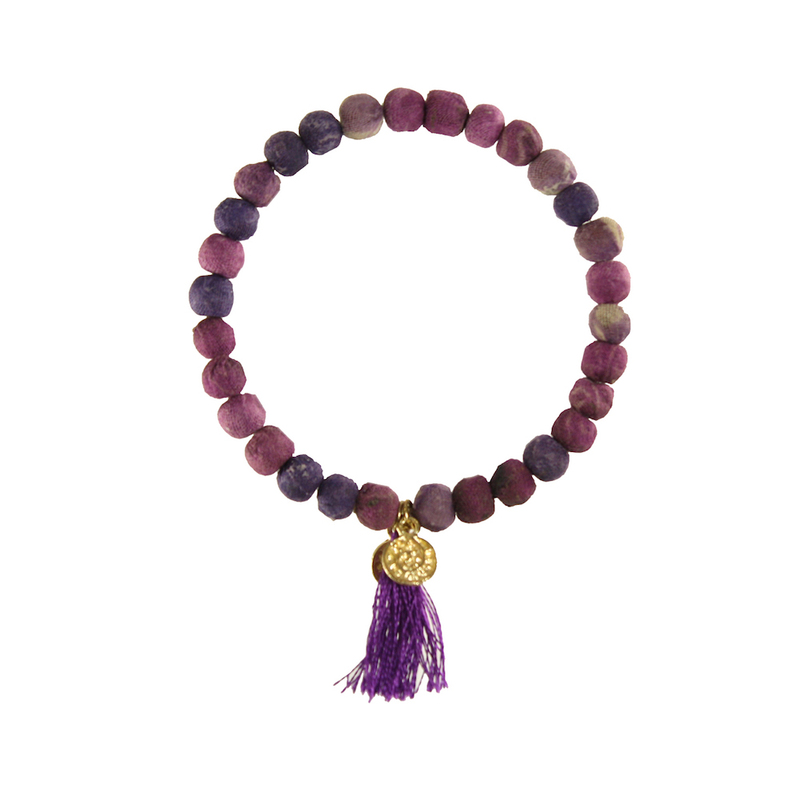 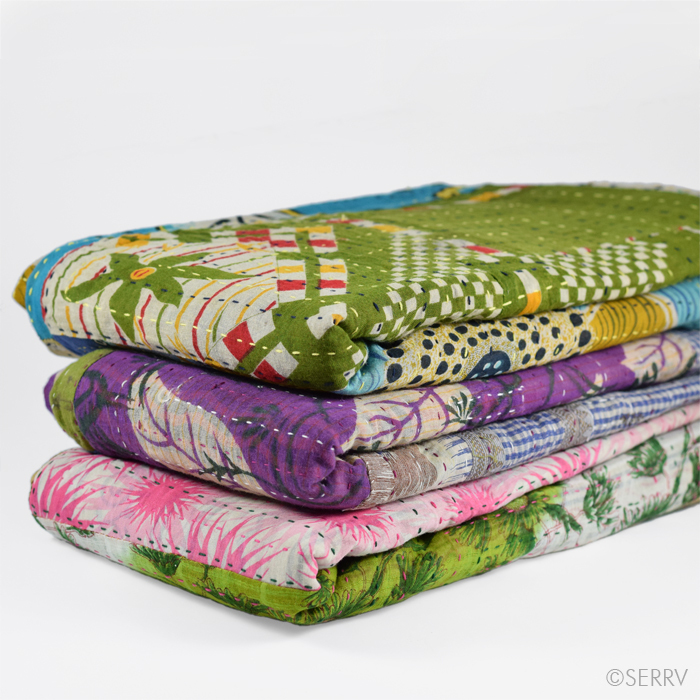 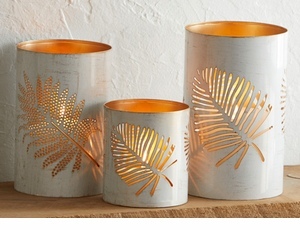 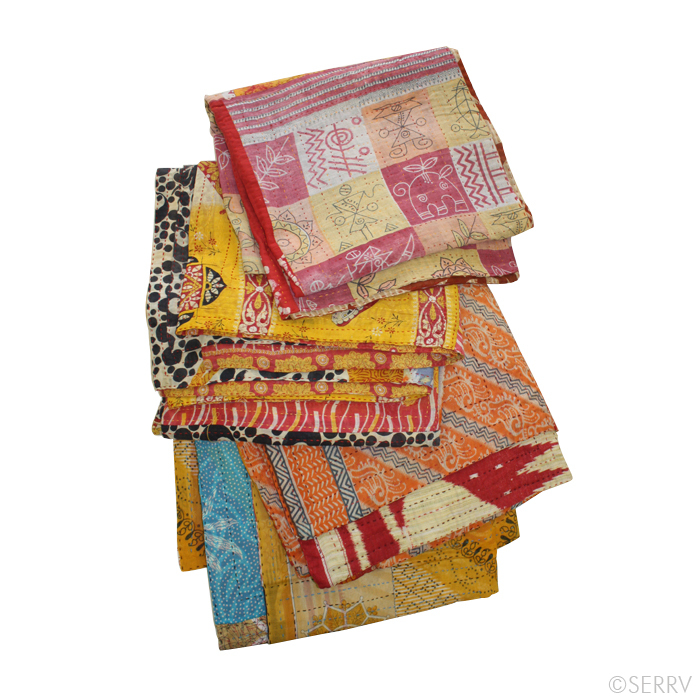 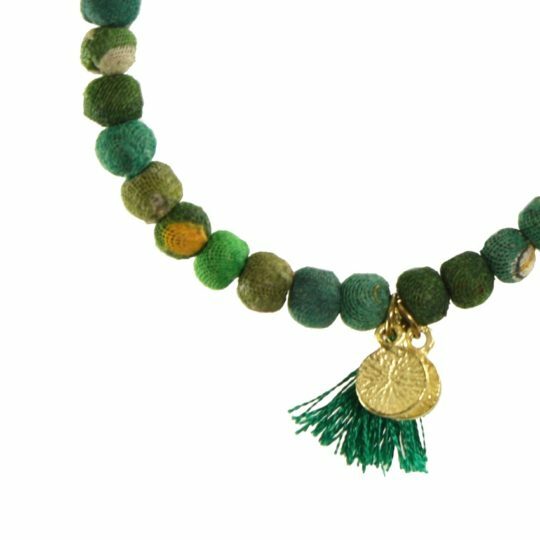 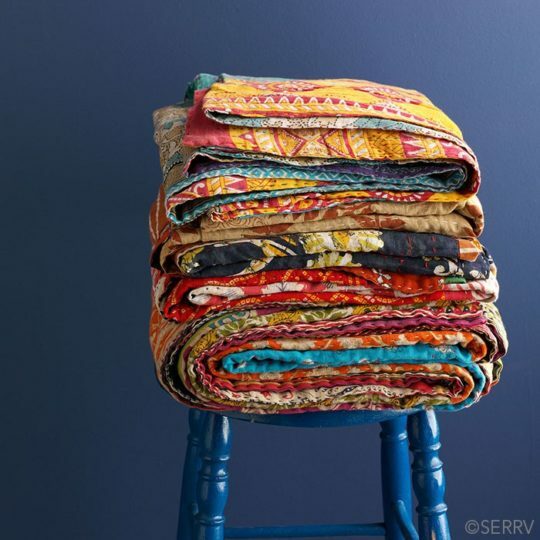 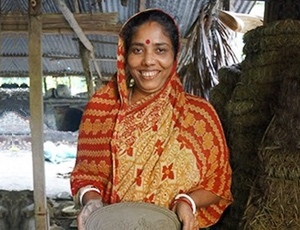 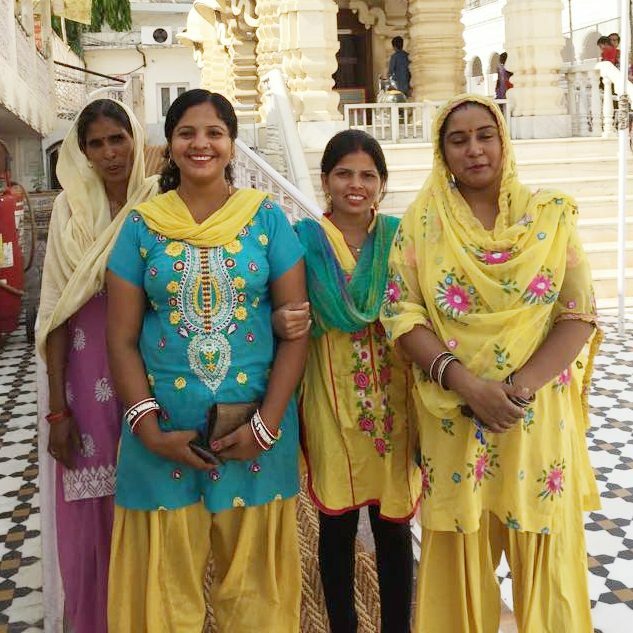 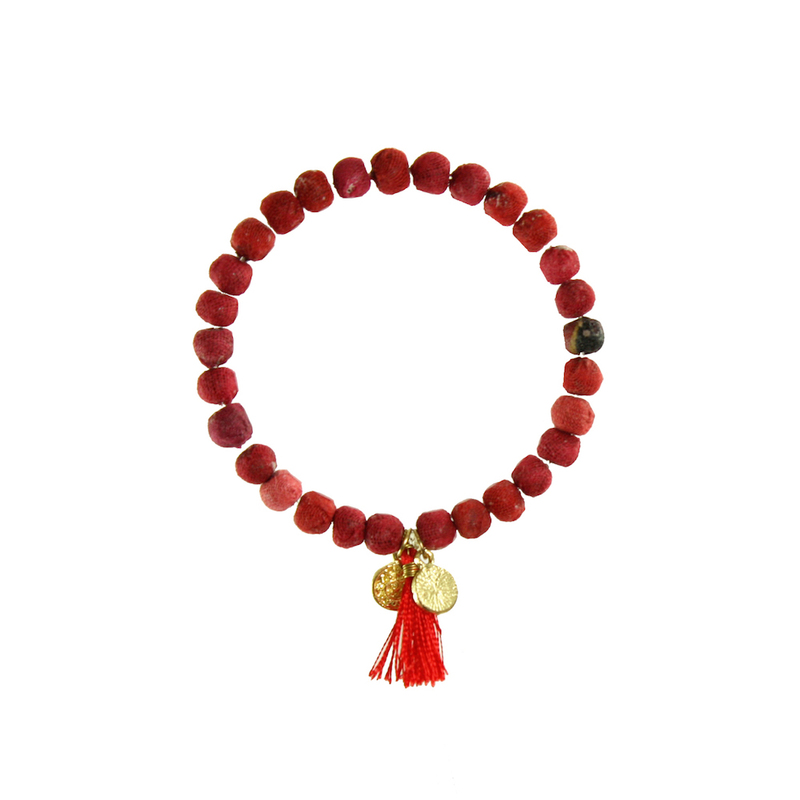 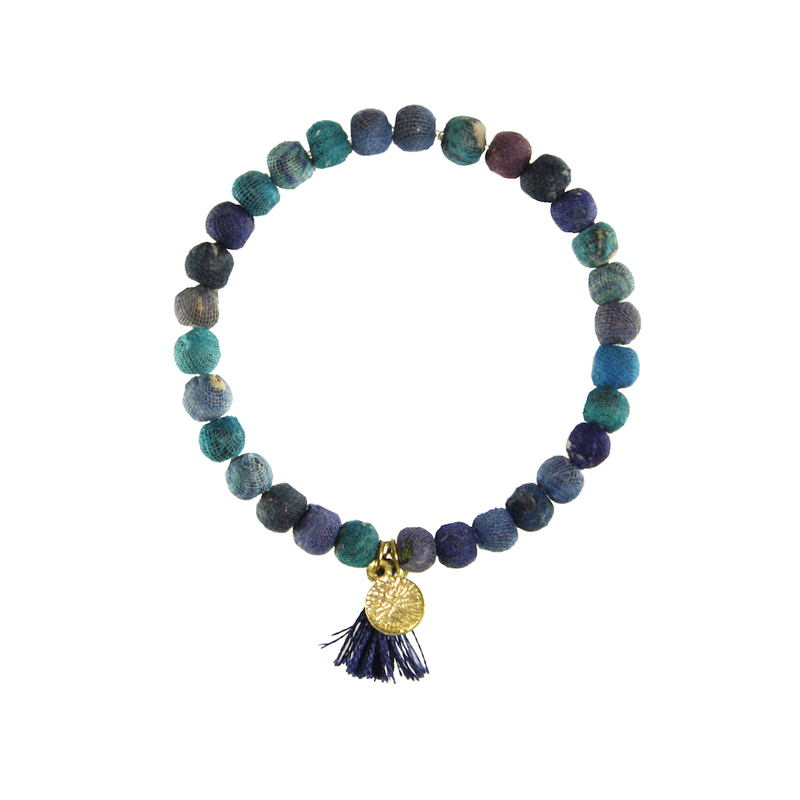 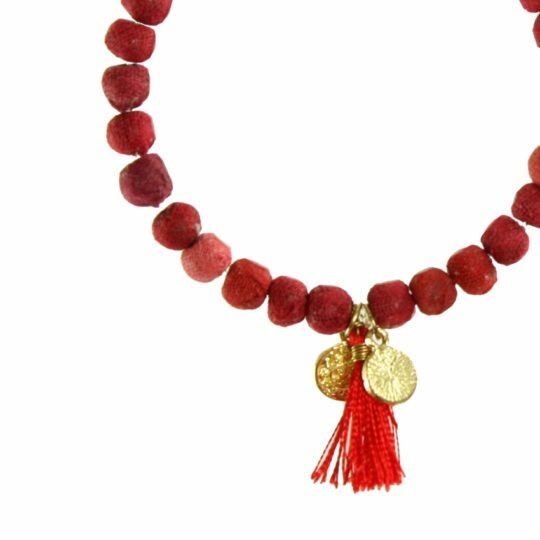 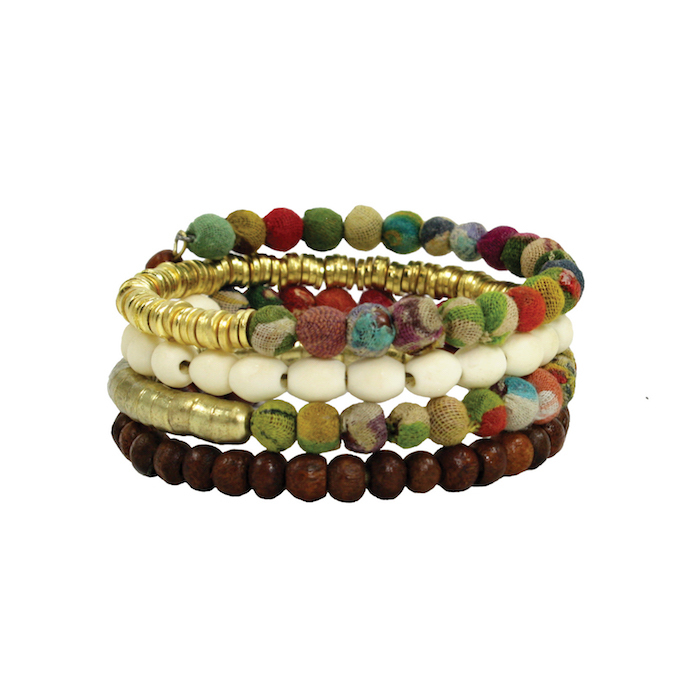 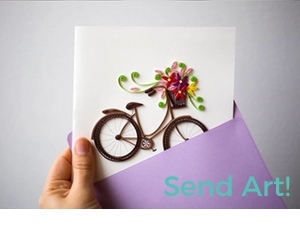 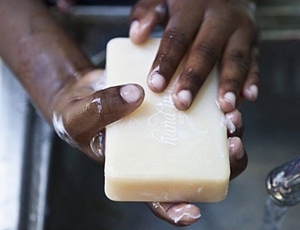 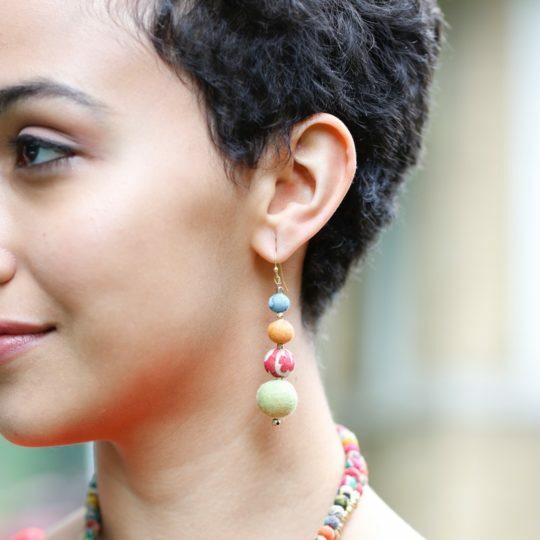 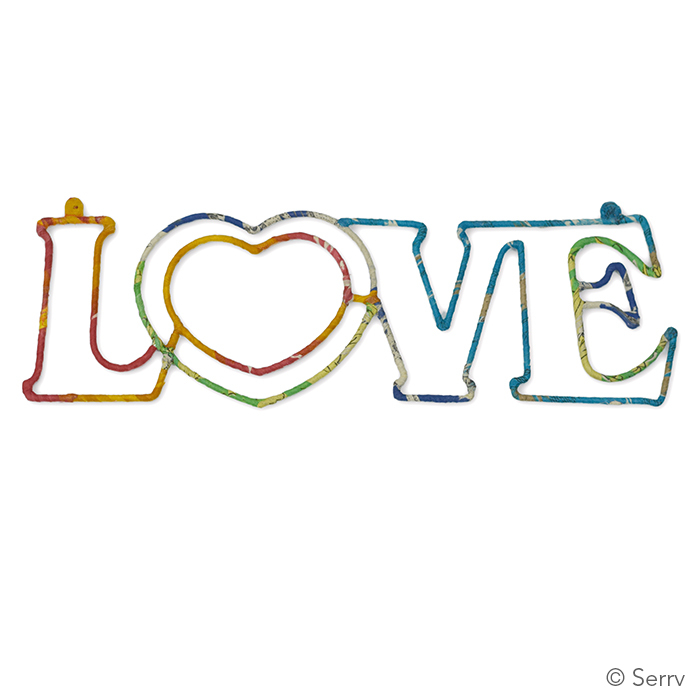 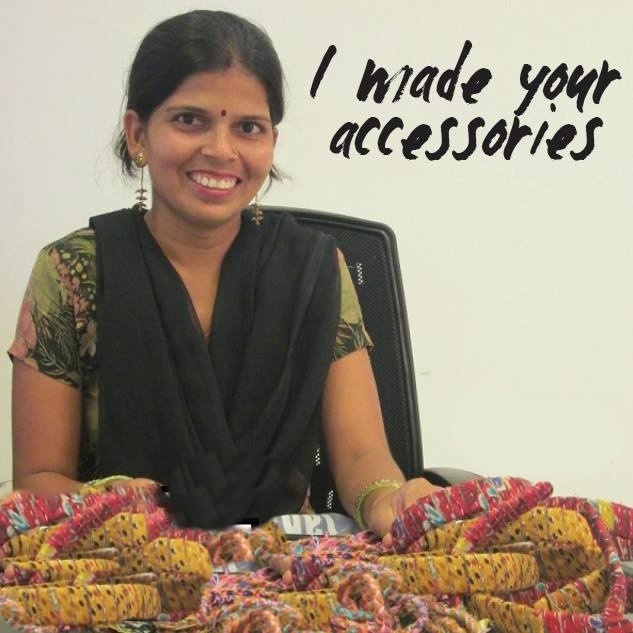 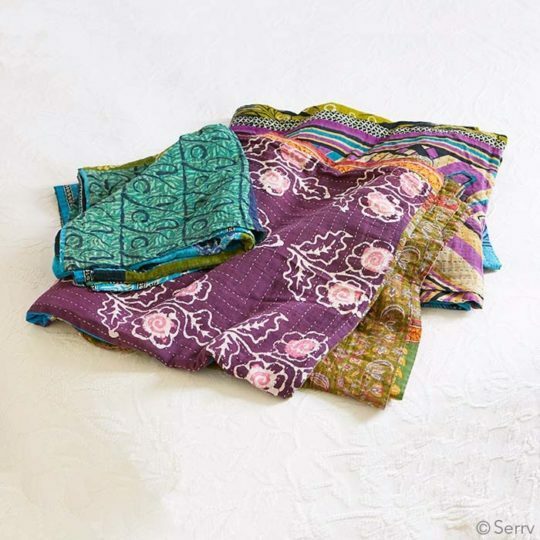  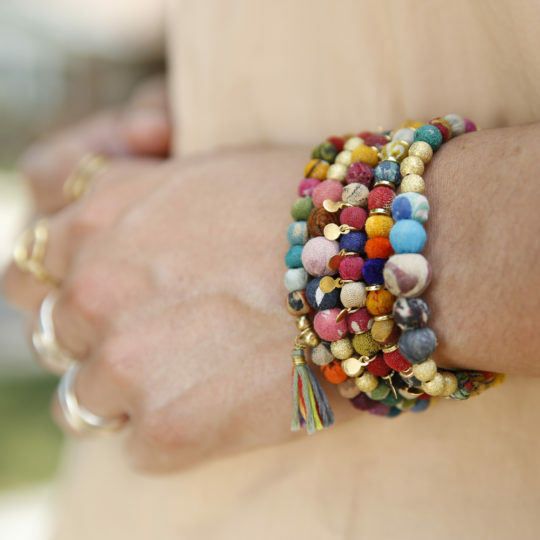  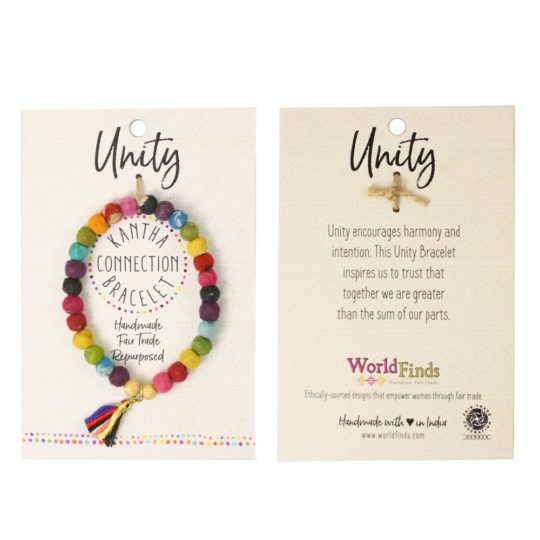 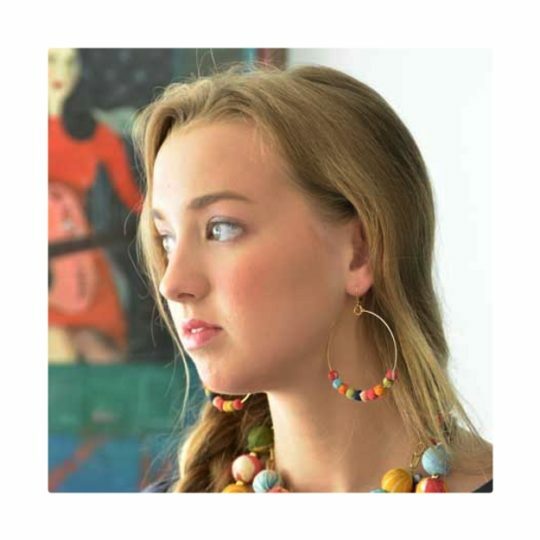 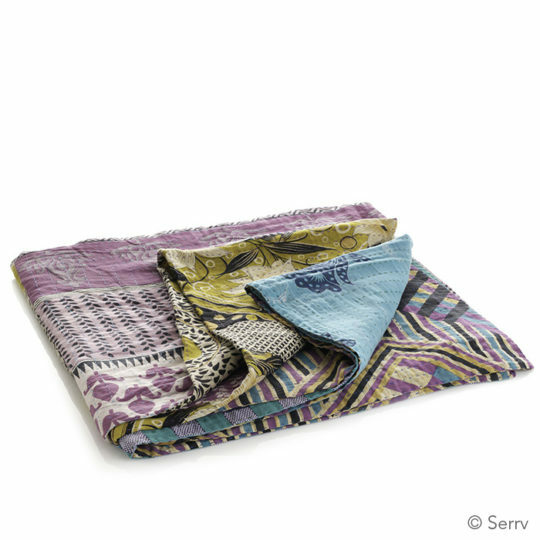 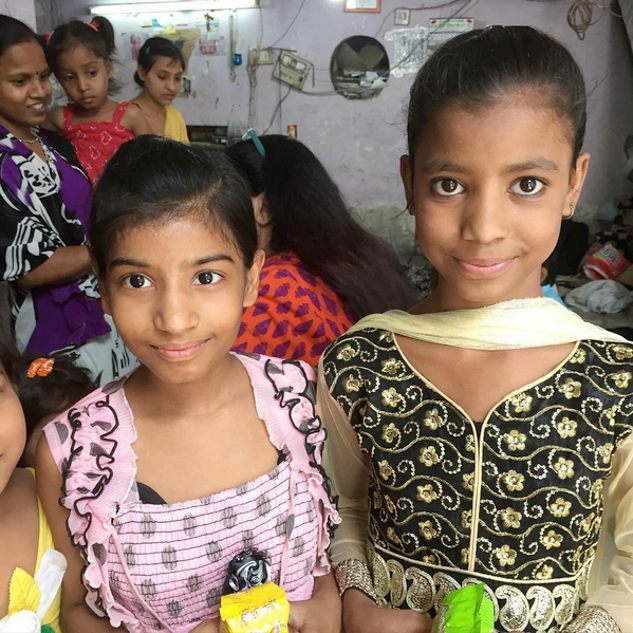 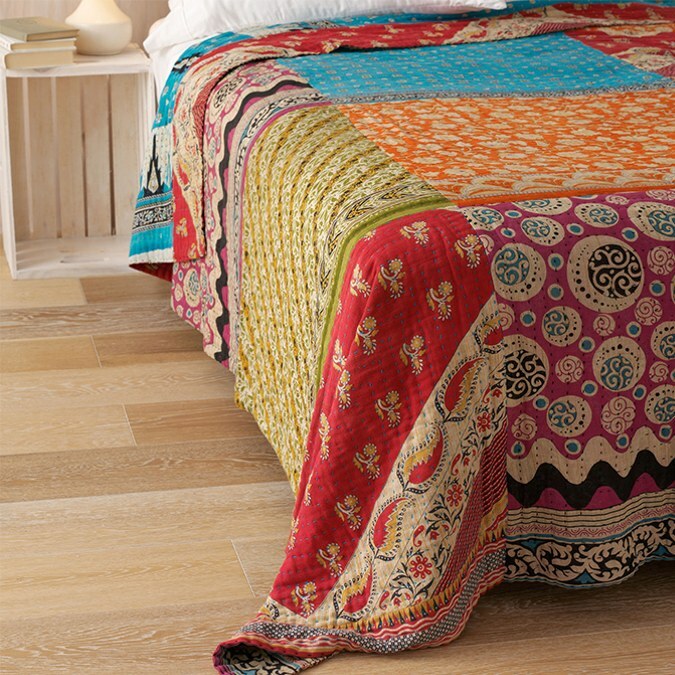 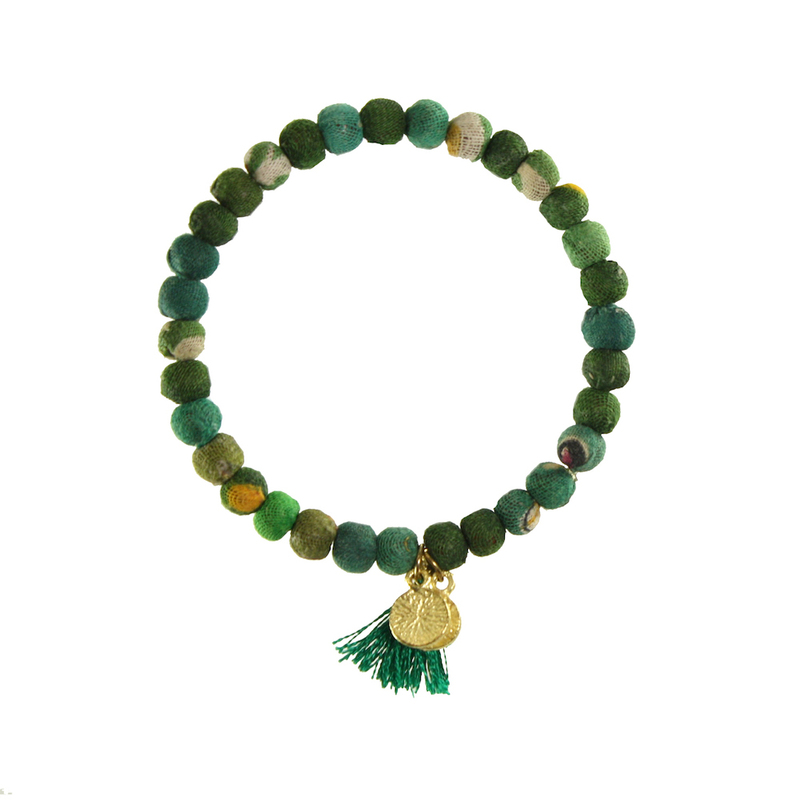  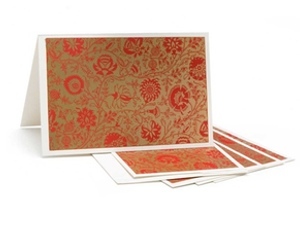 Sustainably handmade by women artisans in India who are working to improve their lives through fair trade.